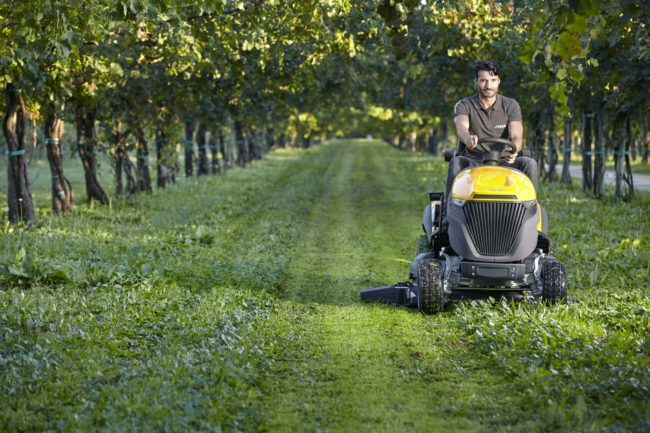 Versatile and strong the STIGA Tornado can handle a variety of terrain, from play fields, vineyards, orchards and undulating lawns in any season. Dedicated side-discharge machines with large fuel tanks allow for Non-stop mowing with No grassbox to empty. Work in comfort and enjoy top cutting results with a robust machine that stands out for its quality and safety. All models feature an additional mulching option.